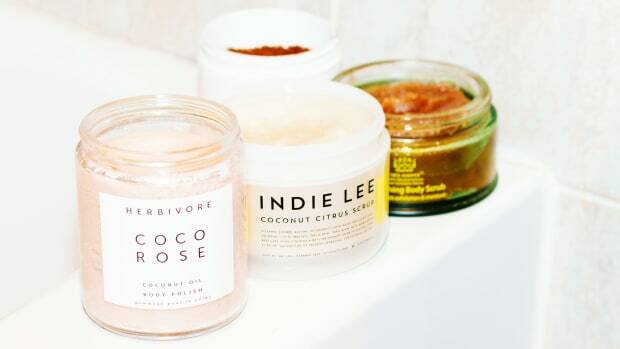 Coconut oil is the answer to ALL your problems. Okay, maybe it can&apos;t help with your relationship or finances—but I&apos;ve gotta say, coconut oil IS pretty miraculous! It&apos;s a saturated fat, which means it&apos;s not prone to oxidation on the skin (which is associated with premature aging and brown spots). It&apos;s extremely shelf-stable and keeps for at least a year—if not many more! So it&apos;s much better value than products with less stable oils. It&apos;s extremely versatile and can be used from tip to toe. It&apos;s even edible, and a powerful metabolism booster. I can&apos;t think of any other beauty ingredient that is so beneficial! 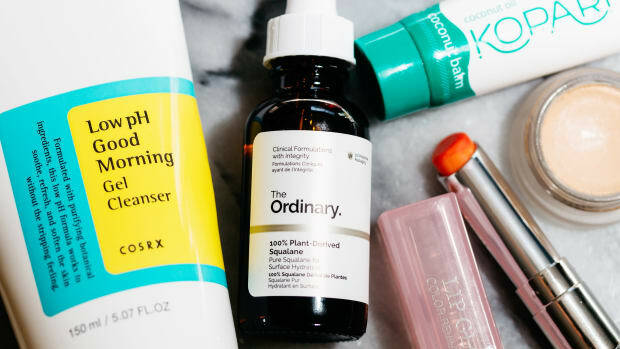 No wonder it forms the basis for Kopari, the California-based skincare line that recently arrived at Sephora. Their concept is simple: pure, virgin coconut oil in multitasking products for face, hair and body. You choose the textures and formats that work for you. I&apos;ve been waiting so long for a company to do this! 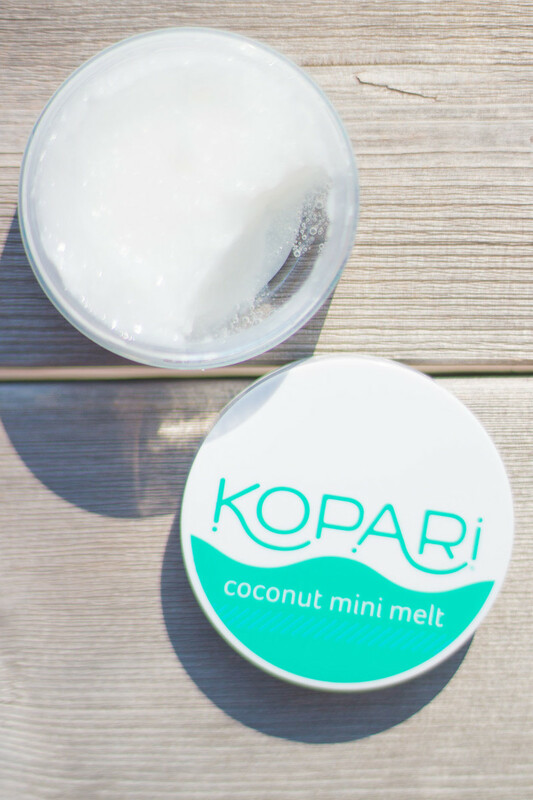 I&apos;d already purchased their Coconut Melt, but Kopari recently sent me a few more things to try from their Coconut Multitasking Kit—the perfect intro to the brand. The "hero" product of the line is Kopari&apos;s Coconut Melt. Nothing in here but 100 percent organic coconut oil. Yes, you could buy a cheaper version at the health food store. But this one is superior because it&apos;s super-smooth, with none of those annoying gritty bits, and cold-pressed to keep its essential vitamins, nutrients and fatty acids intact. That&apos;s why I think higher-quality coconut oils like this make excellent face oils. You&apos;re not only getting hydration, but also protection from free radicals that age the skin. 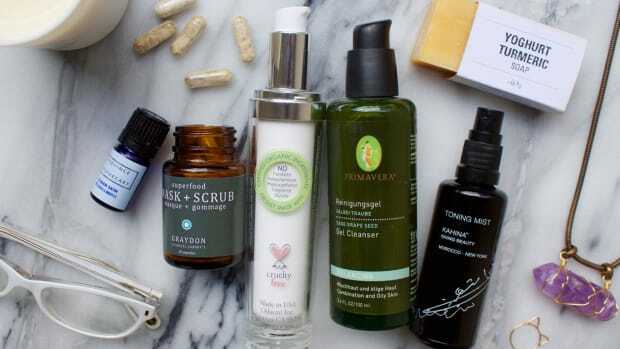 Plus, its antibacterial properties can be helpful for acne. Although everyone is different when it comes to oils, you might be interested to know that coconut oil is not actually comedogenic! 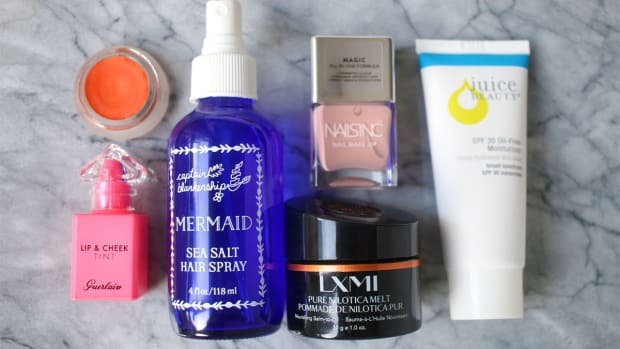 There are so many other ways you can use it: as a makeup remover, cuticle cream, hair mask, bath oil, shaving cream, stretch mark balm or oil-pulling treatment. Ingredients: Cocos Nucifera (Organic Coconut) Oil. 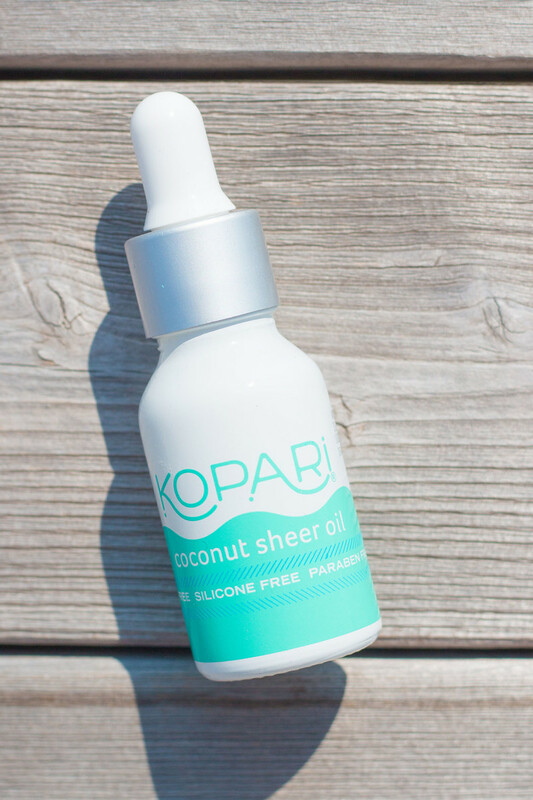 If you&apos;ve found plain coconut oil too heavy or greasy, Kopari Coconut Sheer Oil is the product for you. 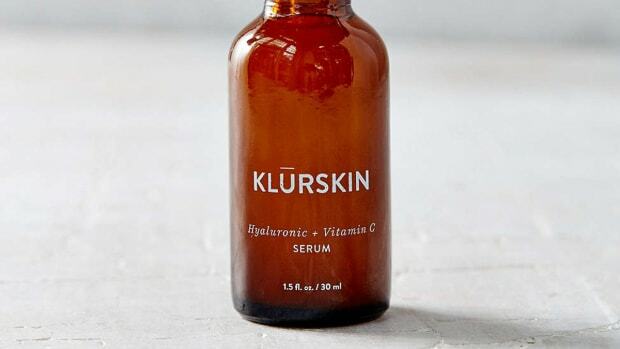 This is a lightweight oil serum for face and hair. It does have an oil texture, but it&apos;s more like a dry oil—and much faster to absorb! It also contains additional ingredients besides coconut oil. The shea butter supports skin repair and collagen production, while fruit extracts offer additional antioxidant protection. It has a subtle coconut and vanilla scent, but not to worry—the extracts are natural and phthalate-free! This works beautifully as a face oil, and I&apos;d also recommend it as a hydrating makeup primer. It really gets rid of those flaky bits you might experience from your acid exfoliator. 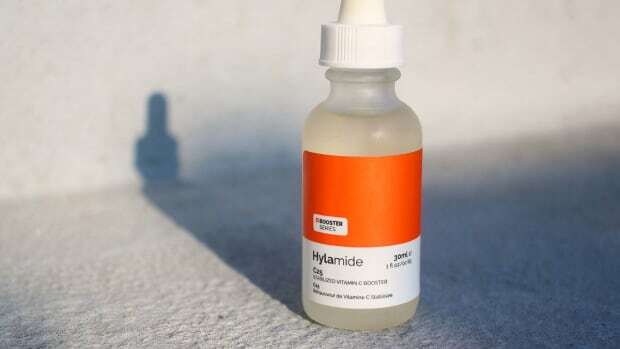 You can use it on your hair as well, to tame dry ends or flyaways. Ingredients: Cocos Nucifera (Organic Coconut) Oil, Shea Butter Ethyl Esters, Butyrospermum Parkii (Shea Butter) Extract, Tocopherol, Caprylic/Capric Triglyceride, Cocos Nucifera (Coconut) Fruit Extract, Pyrus Malus (Apple) Fruit Extract, Coffea Arabica (Coffee) Extract, Butter Extract, Santalum Album (Sandalwood/Iliahi) Wood Extract, Musa Sapientum (Banana) Fruit Extract, Vaccinium Macrocapon (Cranberry) Fruit Extract, Cucumis Melo (Melon) Fruit Extract, Vanilla Planifolia (Vanilla Bean) Fruit Extract, Prunus Armeniaca (Apricot) Fruit Extract. 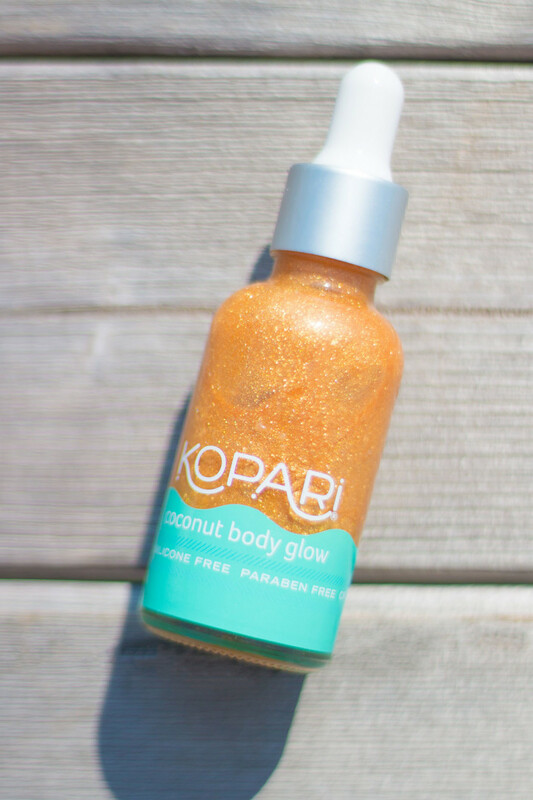 Kopari&apos;s Coconut Body Glow is a coconut oil-based body illuminator that gives the skin a golden glow. Most shimmers I&apos;ve tried are far from natural, but this one has a surprisingly minimal ingredients list, and is scented with a phthalate-free coconut gardenia fragrance. Yum! The texture is a creamy gel, densely packed with fine shimmer that diffuses as you spread it out. It&apos;s very golden, so might not be the best on pale, cool-toned skin; I think it looks better with at least a hint of tan. Once again, it&apos;s a very multi-purpose product: you can wear it all over the body, or just to highlight your collarbones and shoulders. It also mixes well with body lotion if you want more subtle radiance. You can even put it on your face in place of highlighter! I love that it does double-duty by leaving a thin coating of moisturizing oil on the skin. If you&apos;re looking to enhance an end-of-summer tan, this would be my top pick! Ingredients: Cocos Nucifera (Organic Coconut) Oil, Shea Butter Ethyl Esters, Coconut Alkanes, Coco-Caprylate/Caprate, Silica, Fragrance, Tocopherol, Mica, Titanium Dioxide, Iron Oxide (CI#77491). 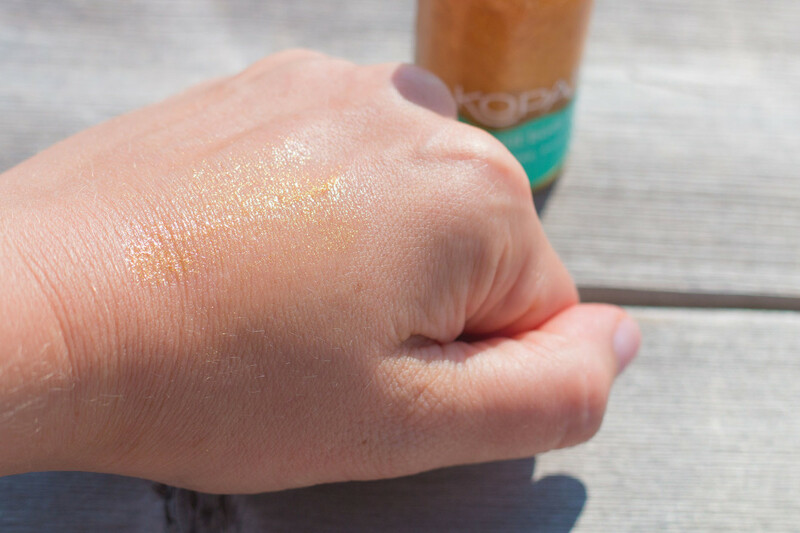 The Kopari Coconut Balm is an all-purpose, oil-based salve (think: the texture of a lip balm). 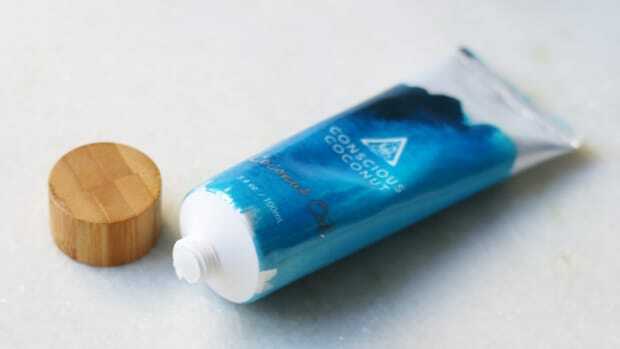 Because it comes in a tube, it&apos;s a travel-friendly way to enjoy your coconut oil on the go. This stuff makes the BEST hand cream. I&apos;m really blown away! It&apos;s a great product to stash in your purse because you can use it on dry hands, cuticles and lips. And it works much better than straight coconut oil for these purposes, as it dries down quickly with no oily residue. This is also great as a body balm, or as a treatment for any rough spots like the feet or elbows. 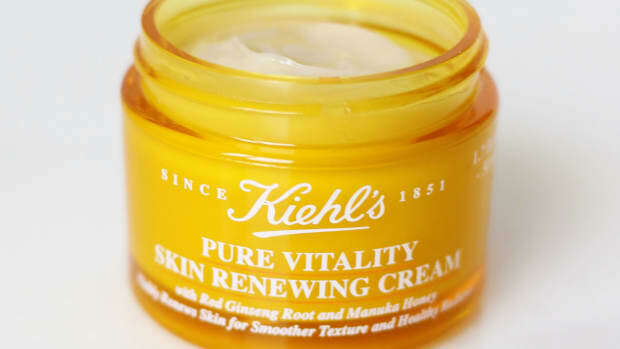 Because it contains vitamin E and aloe vera, it can soothe skin after sun exposure, too. The scent is the same as the Sheer Oil, a natural coconut vanilla extract. I&apos;m going through this tube so quickly, I&apos;m going to have to stock up again in the near future! Ingredients: Cocos Nucifera (Organic Coconut) Oil, Shea Butter Ethyl Esters, Jojoba Esters, Beeswax (Organic White), Theobroma Cacao (Cocoa) Seed Butter, Brassica Campestris (Rapeseed)/Aleurites Fordi Oil Copolymer, Caprylic/Capric Triglyceride, Tocopherol, Aloe Barbadensis (Aloe Vera) Leaf Extract Oil, Cocos Nucifera (Coconut) Fruit Extract, Pyrus Malus (Apple) Fruit Extract, Coffea Arabica (Coffee) Extract, Butter Extract, Santalum Album (Sandalwood/Iliahi) Wood Extract, Musa Sapientum (Banana) Fruit Extract, Vaccinium Macrocapon (Cranberry) Fruit Extract, Cucumis Melo (Melon) Fruit Extract, Vanilla Planifolia (Vanilla Bean) Fruit Extract, Prunus Armeniaca (Apricot) Fruit Extract. Kopari Coconut Crush Scrub: This coconut oil and brown sugar scrub has healthy ingredients and replaces the need for body lotion! Kopari Coconut Body Oil: This is a spray-on scented coconut oil with mostly good ingredients. Not as beneficial as pure coconut oil, but certainly more convenient to apply. Kopari Coconut Rose Toner: Although this isn&apos;t really a coconut oil product (it&apos;s primarily witch hazel), it looks fine as an alcohol-free toner or makeup-setting mist. 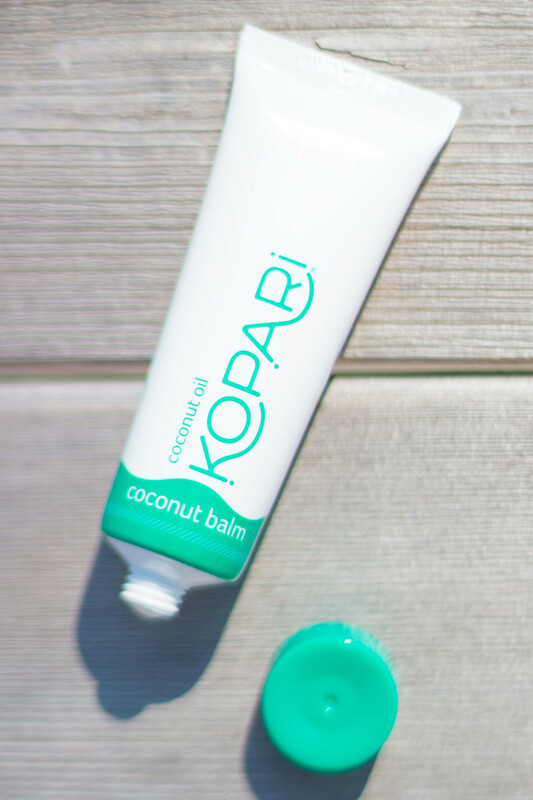 Kopari Coconut Lip Love: This lip balm does contain some petroleum-derived ingredients, but that might not be a big deal if it&apos;s only going on your lips. It has great reviews! 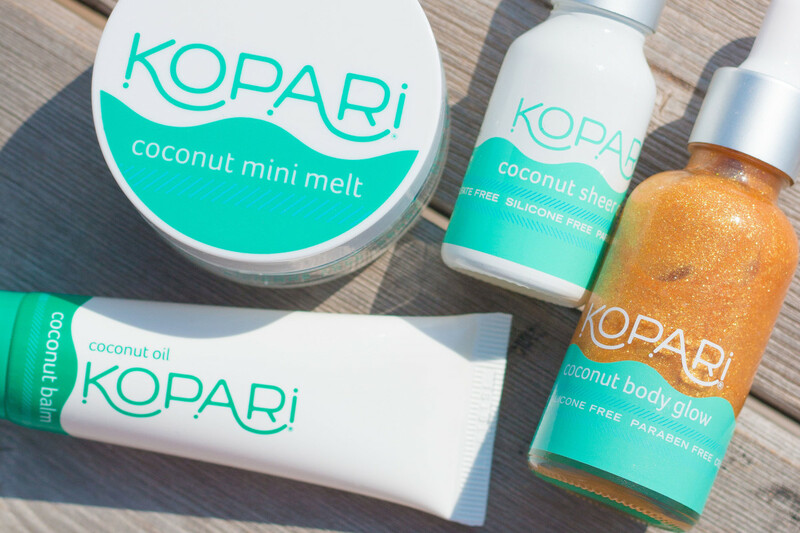 Kopari Coconut Body Milk: Although the coconut oil might have a slight stabilizing effect, I would avoid this because of the high sunflower oil content. Kopari Coconut Face Cream: Ditto for this moisturizer, which is also high in sunflower oil. 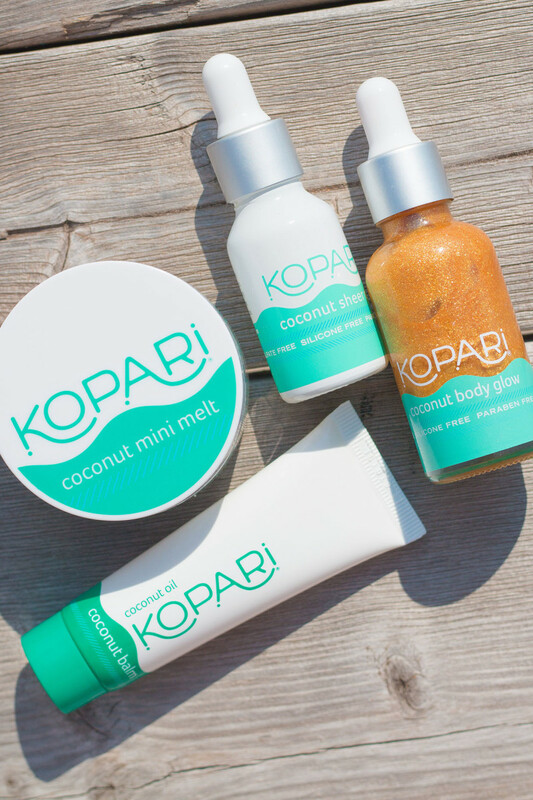 This Coconut Multitasking Kit is the perfect introduction to Kopari. In a nutshell (a coconut shell, obviously), I&apos;m a huge fan of Kopari. You might be a little hesitant about trying the products on your face. I get it—coconut oil does have a bad reputation for causing acne, which scares a lot of people away. For the record, I&apos;m acne-prone and have never once had a problem with it. The latest research also refutes previous reports of its comedogenicity, so I wouldn&apos;t live and die by those ratings! If not, I&apos;d at least encourage you to consider coconut oil for your body. That&apos;s where it&apos;s most important to use non-toxic products, since they&apos;re going on the largest surface area, and you&apos;re likely to use generous amounts. With this brand, you&apos;re getting an array of sophisticated, convenient and multipurpose products that go above and beyond what is available at the health food store. I&apos;m really impressed! Have you tried anything from Kopari yet?